Choose starting date and deadline that the event should run. Manage tables and where each attendee is seated. Attendees can pick their seat or be assigned the best available. Monitor ticket sales, seat availability, and attendance—all in one place. Embed your published plan anywhere or create a custom page. Update your venue floor plan and see changes reflected immediately. 1. Log-in to the dashboard to view and manage your account information and floor plans. Share plans, manage assets, all from one location. 2. Go to the dashboard and find the floor plan that you want to publish and fill in the publish request form and you will be contacted to set up the publishing page. 4. Your floor plan is then published and is goes live. you send email invitations for all participants to register for their preferred spaces. 5. Clients log on to your published floor plan and register a space and you receive a notification email to approve the booking. Collaborate with others to design your event all in the clouds, no software to install no hardware to manage. You build any number of cool layouts, and publish online for all to see. 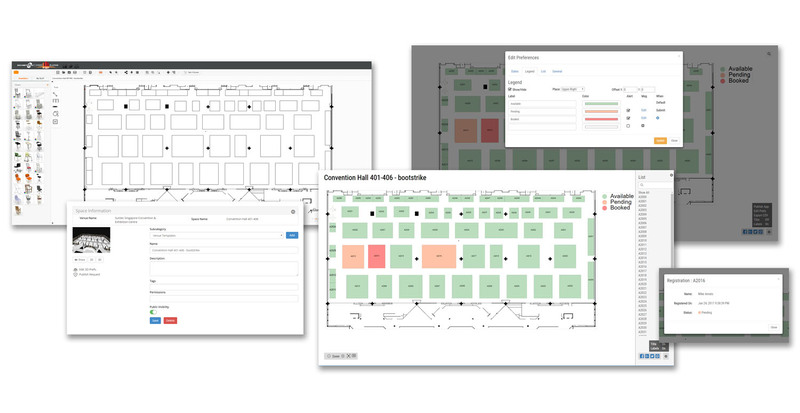 Run powerful planning tools that generates complex table arrangements in minutes. Load floor plans accurately from Autocad or Pdfs and start planning. Share plans instantly on multiple devices and update live. Large crowd seat assignment, Classroom registration, Theater seating, sporting events, Weddings, parties, corporate seating. Combine your Event Planner account With The ExhibitCore Manager For a turnkey experience! 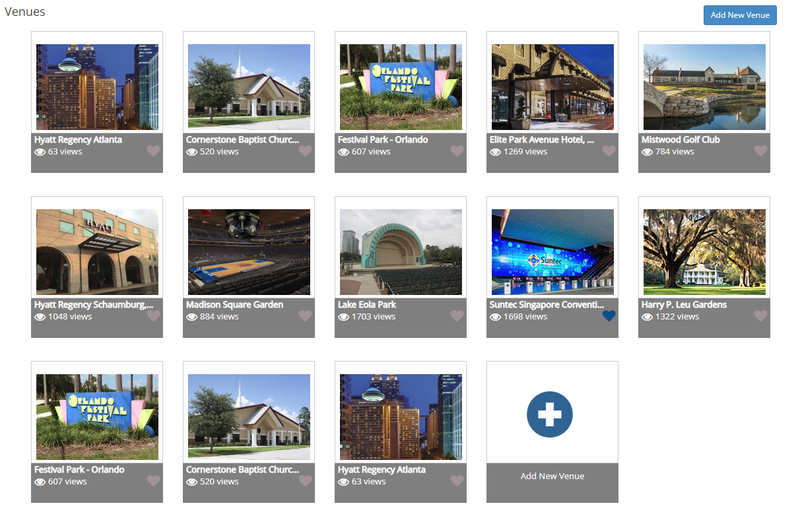 Add your venue to the ExhibitCore, and be found by event planners and show organizers from all over the world. Once a floor plan has been submitted to our database, event planners can use your floor plans as part of their designs. Give your venue the best chance to be found when event planners are making design decisions. You can also go further by publishing fully scaled CAD floor plans and 3D space fully rendered and optimized for the web browser and tablet devices. This will allow for a realistic preview of what your space has to offer.